I've been on a spree of painting these winged underwater creatures, lately. 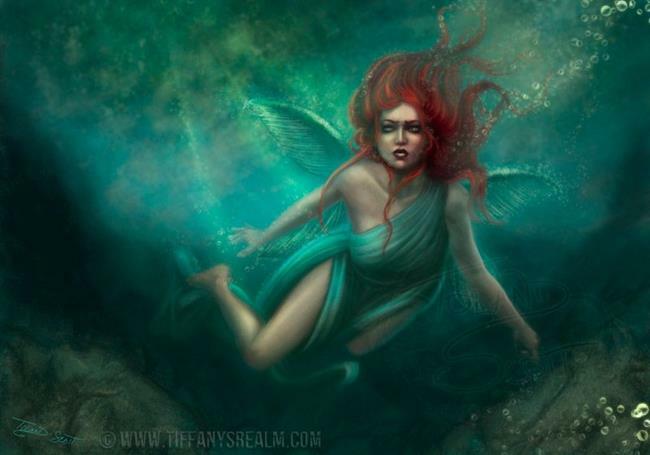 This one is Melusine, part of a triptych also featuring Undine and Syrenka. Painted in Photoshop CS5.